Here’s how it works: (1) Upload your video. (2) While it’s uploading, click on the “Advanced Settings” tab. 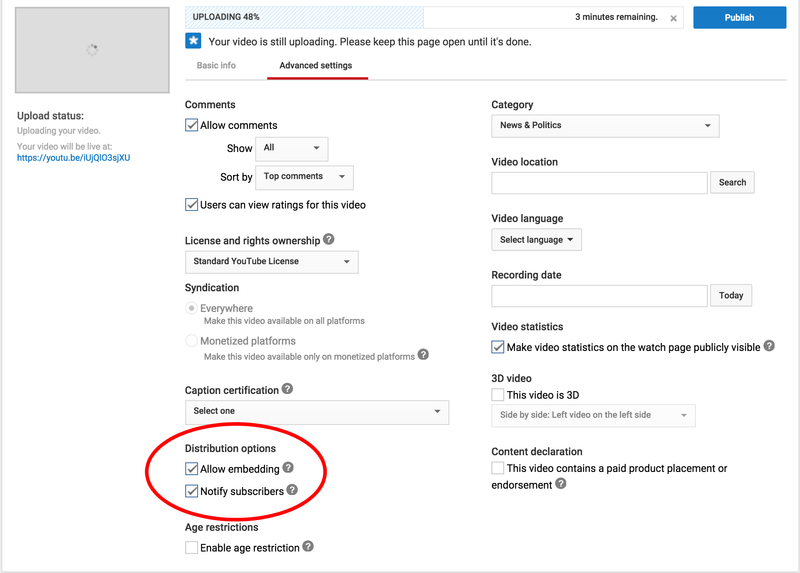 (3) Under “Distribution Options”, uncheck “Notify Subscribers” (see screenshot below). After you publish your video, no email notifications will be sent to your subscribers. The video will also not appear in your video feed. That’s it! Silent and spam-free uploading. Good luck and happy YouTubing! We're just four guys, trying to figure out how to make better movies and get them out to the world. ← A female zombie killer?